The avocado is a tall, evergreen tree that reaches heights of up to 80 feet. This heat-loving tree has very definite seasons, but requires a temperate climate to achieve a full cycle and produce fruits. The avocado tree produces a bountiful harvest for the patient gardener, but it can take several years to realize its full potential, so don't be in a hurry when you plant this tree. Avocados are naturally tropical and do best in that type of climate. Although some hardier strains created to withstand some cold weather exist, typically they need heat--but they do not do too well in desert-type climates that have low humidity. Avocado trees form their flowers in the early winter month of January. These flowers are the buds for fruit production. Each one eventually produces one to three pieces of fruit. Avocados come in both self-pollinating and cross-pollinating varieties. Because of the space required for such large trees, many private homes only have room for one, so make sure it is a self-pollinating tree. Different varieties have varying times for ripening of the fruit. Mexican varieties take six to eight months to ripen, and Guatemalan varieties take 12 to 18. Mexican types are best for colder climates that might experience an occasional frost. Pick all fruit before a first frost. Even a light frost will destroy the crop left on the tree. Avocados are more successful when started from graftings. Grafting is most successful in the late fall/early winter months of November through February. Some are successful even through March. 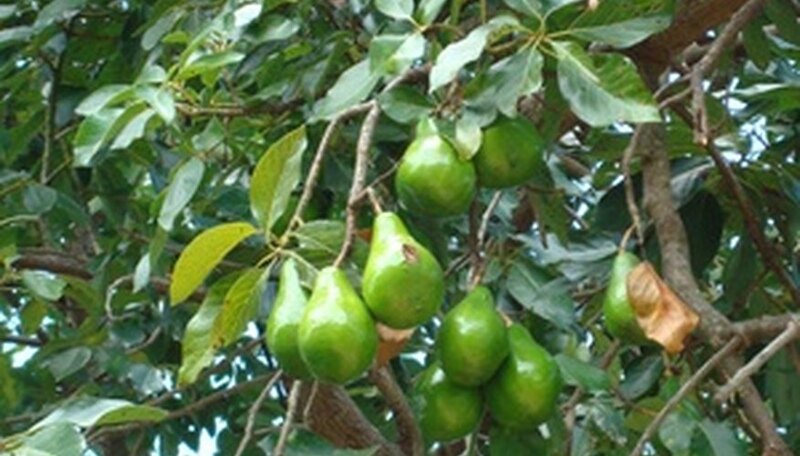 When started from a graft, an avocado tree will produce fruit in two to three years; starting a tree from seed takes much longer. Often seeds do not produce "true to form" and are unsuccessful. When a seedling is successful and becomes a tree, it will take eight to 10 years to get fruit from it. Even from a patient gardener's standpoint, it makes sense to plant grafts. Avocado trees require specific conditions to produce fruit and exist in outdoor environments, but they make great indoor decorative plants in any climate.